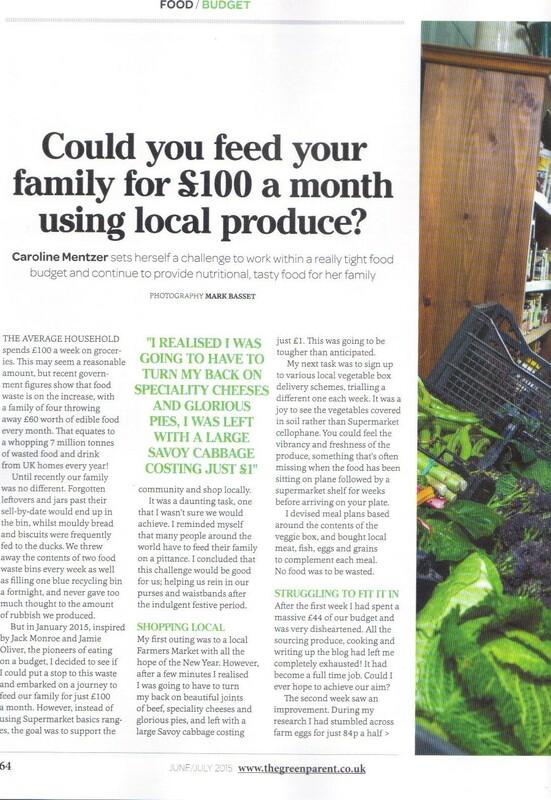 Earlier this year, after we’d completed the first few months of feeding the family for just £100 pcm, I contacted the Green Parent Magazine with our story. 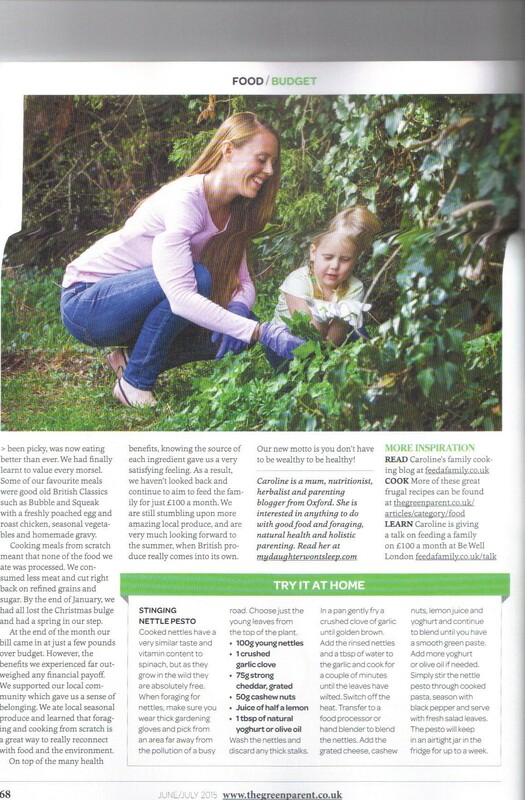 They decided they would like to publish us and here is the finished article which you can find in the June/July edition of the magazine – in the shops now. 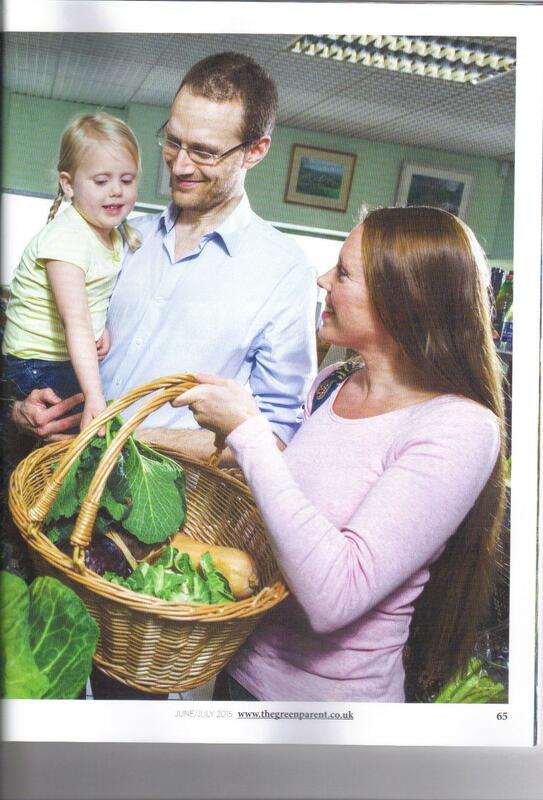 ‘Thanks to The Green Parent for taking such and interest in us, also to Mark Bassett , our local Oxford photographer, for snapping some lovely photos, as well as The Market Garden at Eynsham for letting us use your beautiful shop as a back drop for the photos’. This entry was posted in Blog posts on May 22, 2015 by carolinementzer. I have been enjoying reading your blog and have been inspired. I have a larger and older family so don’t think that it would be possible to feed us all on £100 per month but would love to see if I could reduce the amount we spend. The veg box is interesting. We have used a couple of national box schemes when they had special offers but stopped using them once the offers expired on grounds of cost. Maybe I need to look at them again. We are working on growing our own. Reading about stinging nettles reminds me that one of the children loves stinging nettle soup so I must make that in the coming week. Sarah, thank you so much for your lovely comment. Glad you’re going to give it a go, and yes I’m sure you’ll need a bigger budget for a bigger family. You’re one step ahead of us growing your own! I’m not very green fingered but would love to learn. 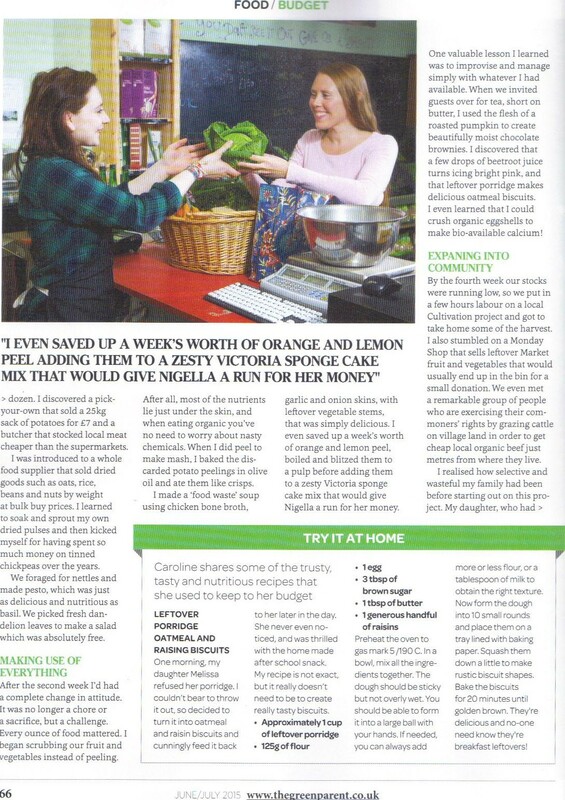 Yes, we did find local veggie boxes cheaper than national schemes. 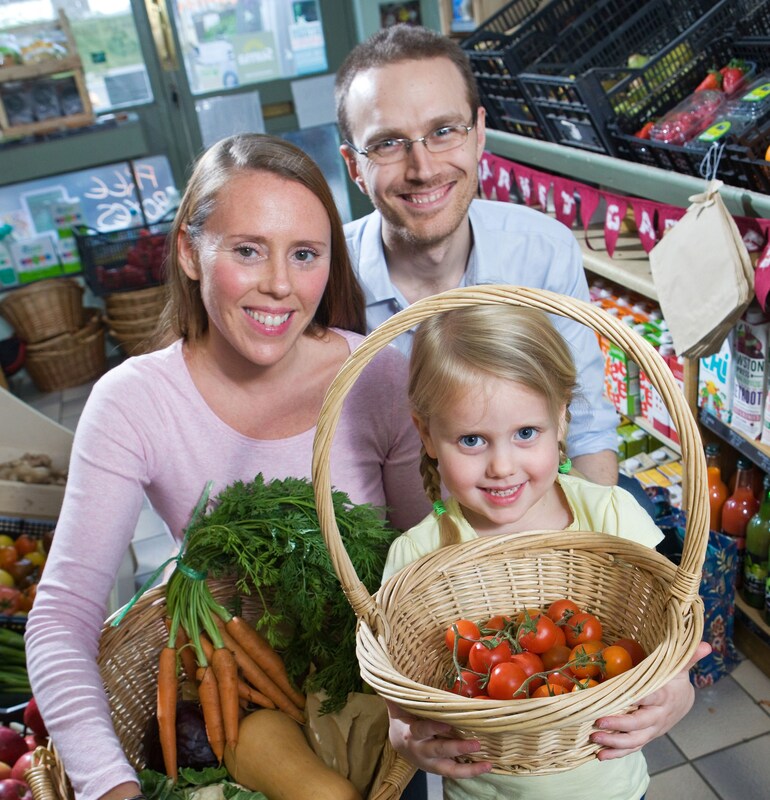 The whole process has really revolutionised the way I shop – even if I don’t make the exact target every month, there are so many habits I would not go back to – like buying supermarket meat or rice and nuts in small packages. Good luck with it all and bring on the nettle soup! Delicious with potato in fact – Yum!